Judges claimed almost €942,000 in expenses in the first six months of the year, an increase of more than 20 per cent on the same time last year, new figures from the Courts Service show. The increase is attributed to a rise in the number of judges and an increase in the mileage allowance. Claims increased at the District Court by more than €110,000, or 25 per cent, and at Circuit Court level by almost €30,000, or 10 per cent. High Court claims went up by more than €16,000. There was a small increase at the Court of Appeal and a small reduction in expenses claimed at the Supreme Court. An additional nine judges made claims at the District Court compared with the same time in 2016, while 33 High Court judges claimed, compared with 34 last year. Some judges did not make any claims. The single largest claim, of almost €22,630 was made at the District Court by Judge Alan Mitchell. The former Fine Gael councillor, appointed in 2012, is a moveable judge who may be sent to districts across the country. His expenses included more than €7,000 on travel, almost €15,000 on subsistence and almost €590 on incidentals, which include attire. Judge Séamus Hughes, a former Fianna Fáil TD who was appointed in 2009, who sits in Longford-Westmeath, claimed €22,626. Judge Kevin Kilraine, who was appointed in 2008 and sits in the Leitrim-Donegal Sligo area, claimed just over €22,000. Of the 62 District Court judges who made claims in the first half of this year, 22 had higher subsistence claims than travel claims. At Circuit Court level, the largest claim, more than €18,500, was made by Judge Brian O’Callaghan. More than €13,600 of the claim was for subsistence, and almost €5,000 for travel. Judge Rory MacCabe claimed almost €17,500, with over €9,600 in subsistence, €5,600 in travel and €2,200 in incidental expenses. President of the Circuit Court, Mr Justice Raymond Groake claimed almost €15,650, including more than €10,000 on subsistence and the balance on travel. The 40 judges of the High Court claimed more than €67,200 between them. Ms Justice Margaret Heneghan had the highest claim at this level, of almost €4,900. At the Court of Appeal, judges claimed a combined total of €3,870, with Mr Justice John Hedigan claiming more than €2,560. Of the 10 judges, six made no claim. 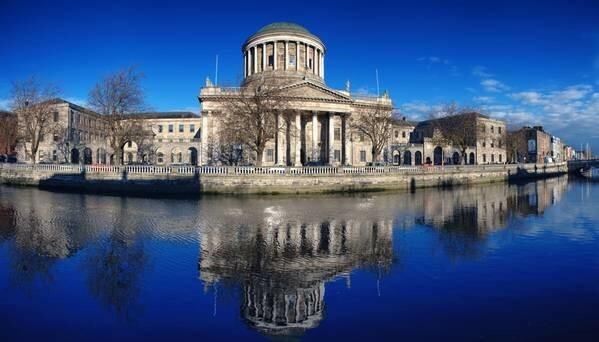 At the Supreme Court, four out of eight judges made claims, totalling €820. Outgoing chief justice, Mrs Justice Susan Denham, made none, while her successor, Frank Clarke, claimed €195. The Courts Service said travel and accommodation costs arise from the requirement for circuit and district courts across the country and the level of costs recouped by each judge is a direct reflection of the work, numbers of sittings and the locations he or she is required to attend. A spokesman also said the 20 per cent increase in expenses could be accounted for by an increase in mileage allowance, judicial vacancies that have been filled since this time last year and five additional moveable judges. He also said this year, judges of the circuit and district courts changed their attire “ to a more modern, practical, and cost effective design”. “The costs for the first half of this year reflect this once off general change – and will result in a reduction of such costs in future years,” he said. A quick perusal of the figures should set you thinking! How are you dealing with your conscience in view of the oath you took on being attested to An Garda Síochána? The terms of your oath still stand irrespective of retirement from the national police service. You will find some incredible reading in the annual reports of the Accountant, The Courts of Justice. They are sitting on an incredibly large nest egg that is growing exponentially year on year, allegedly due to investment income. Many have never heard of this wards of court fund that clearly states it is also there to support judges. In view of the chaotic financial situation the country is in, how is it possible for government to allow colossal amounts of monies of this incredible magnitude to go untouched while they continue to penalise GSRMA members and their pensions with no definite end in sight, despite government soundings of an economic recovery? It does appear the judiciary are privileged above and beyond! Could GSRMA set up a similar fund by creating a suitable fiscal environment under the Trustee (Authorised Investment) Act? Yes indeed Arthur O. Conscience is just an oblique manifestation of honesty when it suits a given situation I think. To contemplate top personnel across the state and semi-state sector having a conscience takes us into fairyland. Pay and perks recently seen in the public domain shows the great disparity between top and bottom. Its regulated for and given justification and people move on. Other opinions not counted. Some cash cows are better than others albeit from the same herd.